Introducing Shen Mansell, Audrey Porne & Nathan Jo-Bry. 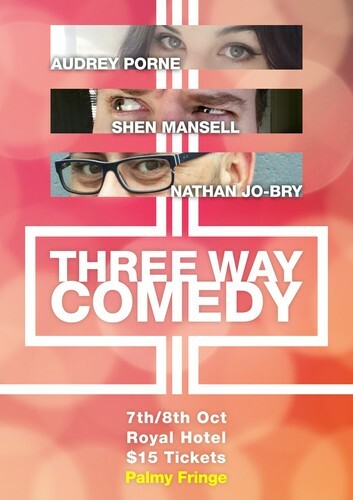 Three comedians from Christchurch bring their three very different styles of comedy to Palmerston North for the first time. Buckle in for an hour of laughter and entertainment. A stand-up comedy show with something a little different chucked in to spice things up. Two shows only - do not miss out.